Halfway house. 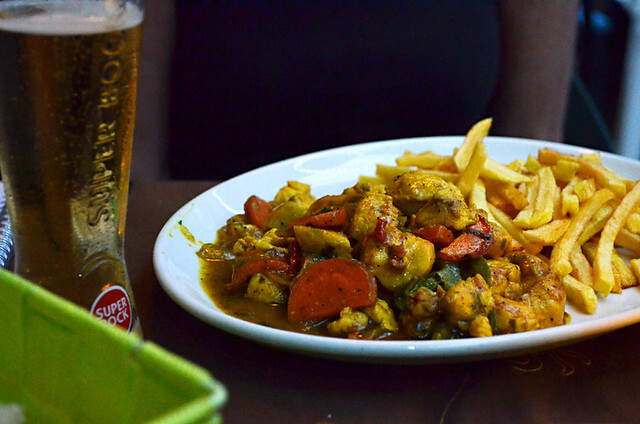 I confess to going for pure familiarity for our first meal in Cape Verde. It was in a cosy little restaurant at the end of a small passage in Santa Maria on Sal. I took one look at the menu and immediately decided I was having the francesinha simply because I love francesinhas. 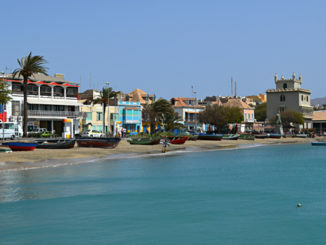 As Cape Verde used to be a Portuguese colony it was, in a way, quasi-traditional. And it was a seriously good francesinha. It was the following morning before I had my first taste of the one Cape Verdean dish I knew was going to be commonplace, cachupa. 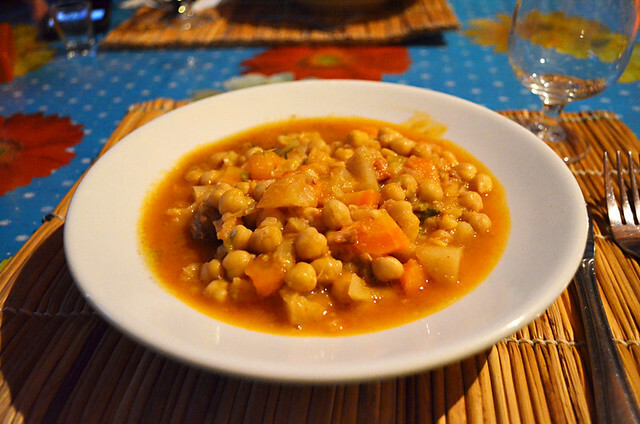 The famous dish of Cape Verde, cachupa is basically a tasty stew of vegetables, beans and chunks of meat which is flavoured by herbs and spices. 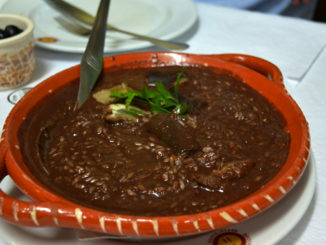 What those particular vegetables, beans and meats are varies, meaning each cachupa can be slightly different. If it wasn’t for the meaty chunks, it would be a perfect dish for vegetarians (we cook some Madhur Jaffrey recipes without meat that are very similar). It’s cheap (or should be ) tasty and full of goodness. For breakfast the stock is drained and what’s left is fried on the pan which gives the cachupa a very different and quite smokey taste (thanks to Cape Verdean chorizo being one of the ingredients). I was disappointed only to have it for breakfast once. 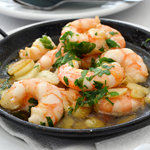 There’s plenty of choice for fish and seafood lovers. 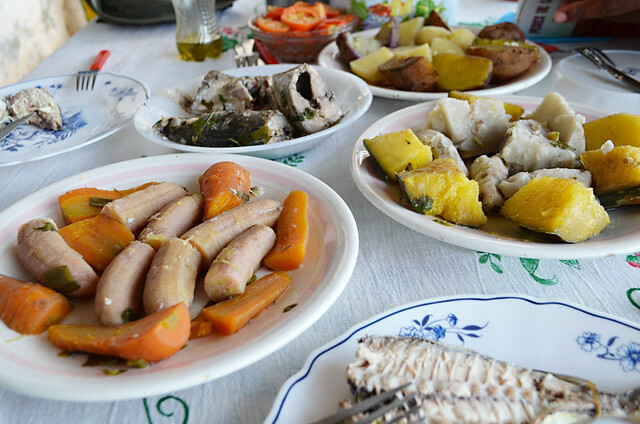 Living in the Canary Islands, most were familiar to us even if the names differed slightly – octopus, bream, grouper (garoupa), tuna, swordfish, wahoo, mackerel, limpets(lapas). 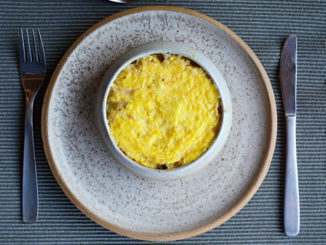 There were a couple which weren’t regulars on our plates – spider crab and a rubbery shellfish called bufio. Caldo de Piexe (fish soup) was also common. For some reason the tuna in Cape Verde tasted better than anywhere else we’ve eaten tuna. This wasn’t just being blinded by ‘new location love’, one guide told us she’d only eat tinned tuna if it was Cape Verde tuna. I didn’t get to try the intriguing sounding goatfish, so that will have to wait till next visit. 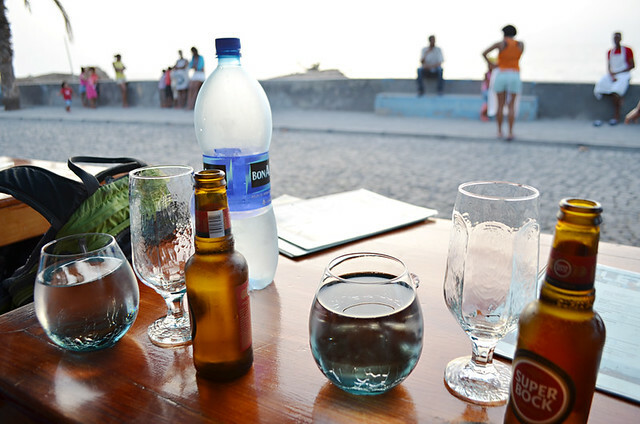 Cape Verde isn’t an ideal destination for those who eat steak, steak and steak when they visit anywhere. You can get it in the more touristy areas, but it’s expensive. Chicken (frango), on the other hand, is good value. Andy had some excellent curried chicken in Sal and a seriously spicy chicken dish with chilli and lime in Punta do Sol. Pork is quite common as is goat. 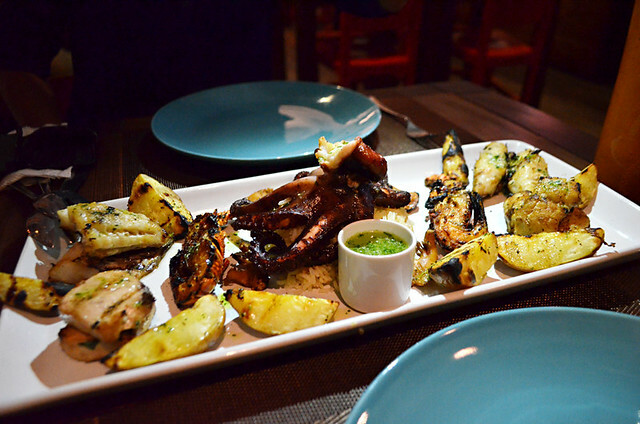 We enjoyed a cut-with-a-fork tender tray of goat in a mildly spicy sauce in Santo Antao. Occasionally with meals you get a little jar of piri piri for added oomph; it’s an eye-wateringly hot chilli sauce that should be treated with respect (learnt the hard way). When it comes to fruit and vegetables we were spoiled for choice on Santo Antao, an island which keeps neighbour Sao Vicente stocked as well. There’s no worries in Cape Verde about there being a lack of fresh fruit at breakfast, there were big bowls of the stuff (mango, papaya, kiwi, passion fruit etc.) as well as thick fruit juices. 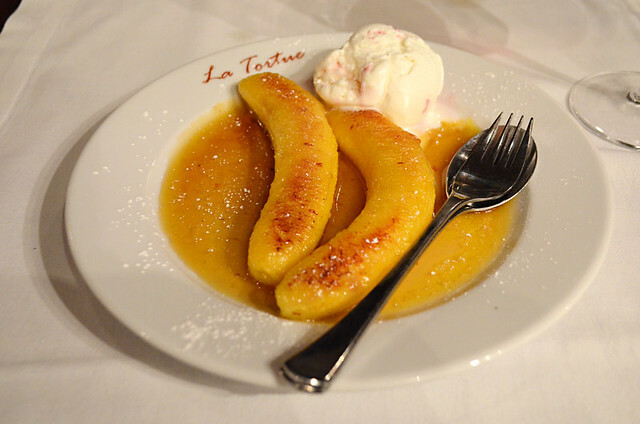 Bananas figure highly and are used at various stages of their ripening process. As well as being eaten sweet, when still hard they’re cooked like potatoes. The local natural yoghurt is wonderful, especially when mixed with a bowl of tropical fruit and molasses for breakfast. 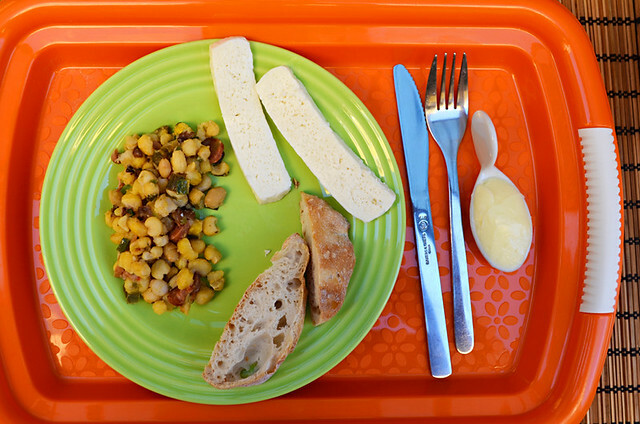 Talking of breakfasts, the local goat’s cheese is also pretty good (not particularly strong) and features regularly at breakfast buffets. There’s a diverse range of vegetables, so much so they don’t really bother with the peppers that grow on the islands (“they were introduced by the Portuguese” was one guide’s explanation why they are now generally ignored). In one sitting alone we were faced with huge plates of yam, potato, sweet potato, a type of courgette, boiled banana, tomatoes, manioc and carrots. And those were joined by rice, fish soup, a thick onion sauce (a bit like a sweet and sour sauce) and a plate of scad (a type of mackerel). The feast was just for three of us. We were easily defeated. The desserts we tried were mainly quite dry cakes. One was like a slice of thick white bread and even a drenching in molasses couldn’t breathe much moisture into it. 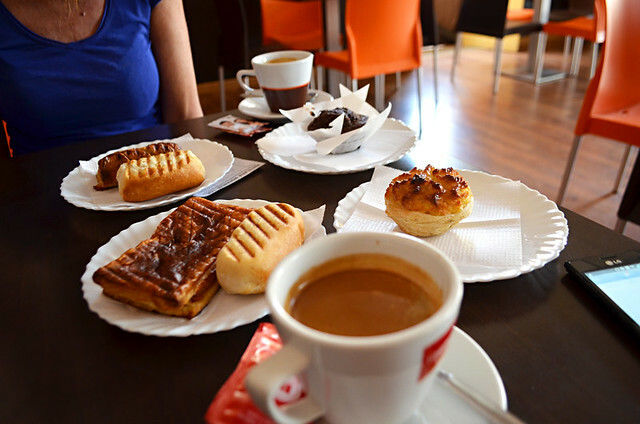 On the other hand, Mindelo on Sao Vicente was good for coffee shops (quite decent local coffee) which also served plenty of pastries, including the famous Portuguese pasteis de nata. 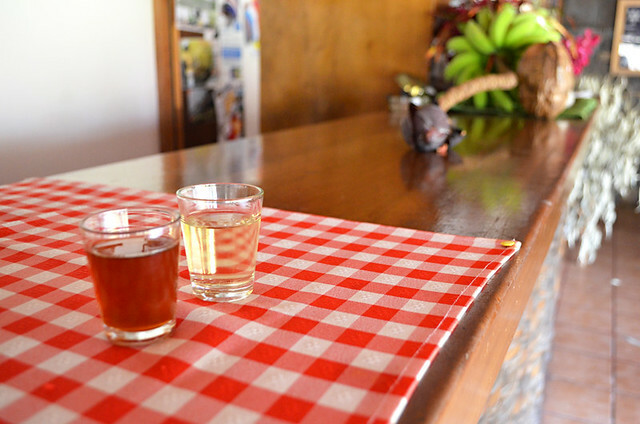 You can’t go to Cape Verde and not try the grogue (a word evolved from the British mariners’ grog), the local firewater distilled from sugar cane. It’s often offered at the end of a meal, although we were also given some when booking into a small hotel. Grogue comes in a variety of guises, but mostly you’re served the clear and classic grogue or the less macho pontche, which has been calmed down by molasses, citrus fruits and cloves. Despite its bad boy reputation I found the classic grogue to be a bit smoother than the grappas I’d tried in both Croatia and Italy. But maybe I only tried the good stuff. Beer is plentiful, with the man choices being Portuguese Super Bock or the local Strela. Either is refreshing after a long hike and they’re similarly priced. We tended to pay around the equivalent of €1.50 a bottle. We had no problem buying wine although we didn’t try the Fogo wine. The eruption which destroyed some of the island’s vineyards has subsequently sent prices rocketing. Instead we settled for Portuguese wines (no hardship) which averaged €13 a bottle in restaurants. I’m not sure I should share this one. Once this information gets out, it might result in a surge of fellow Scots frantically cancelling wherever they were headed on their next holidays and heading to Cape Verde instead. Cape Verde has tablet. 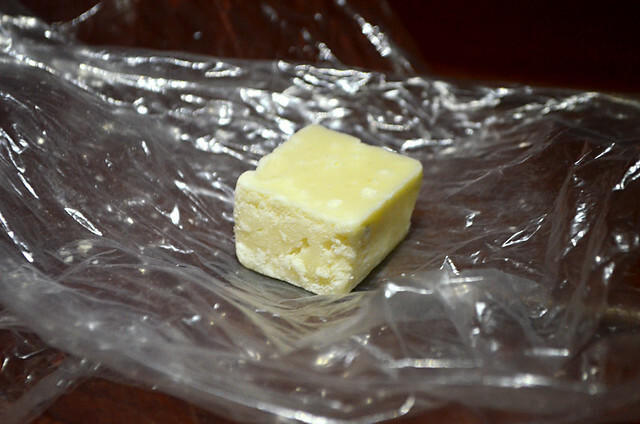 It’s not called tablet but this, my sweet-toothed friends, is unmistakeably tablet. Who’d have thought in a remote valley of palms, exotic fruit trees and grogue stills I’d find Scotland’s most sinful sweet? It was the sugary icing on a particularly delicious cake. I would like to know more about the breakfast because I am doing a project and I can not find a whole lot on breakfast.